Invest-less Entertaining | I Am Not A Restaurant! 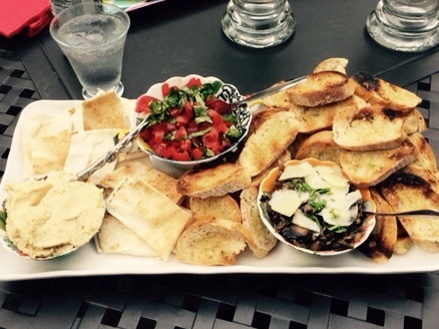 Jul6July 6, 2015 • By Betsy Karetnick • This entry was posted in Appetizers, Dish of the Day, entertaining, Kitchen Help, Recipes, tomatoes and tagged bruschetta, hummus. Bookmark the permalink. Great idea. We are having extended family over this coming weekend, a mini reunion, and one if my appetizers is now set. As you suggest we can make multiple toppings so we can satisfy everybody. Thanks.